A while ago I won an iPod shuffle through a blog contest. I gave it to Allison. Later, it stopped working. I had been a reader of Joe Tech because of Entrecard and I remembered him saying once that he repaired iPods or something like that. Well, when I started cleaning house with BenSpark’s Big Box of Awesome! I remembered Joe Tech and decided to ask Joe if he could help me. I told him I would send the iPod Shuffle for him to repair and that he could give it away as a blog contest prize. He agreed, fixed the iPod and set up the contest. Entry into the contest was simple. Just by being an e-mail subscriber of Benspark.com or Joetech.com was all one needed to enter. Joe just contacted me for my subscriber list, he ran the names through random.org and one of my subscribers won the prize. The winner was Jennifer Barnett. Way to go Jennifer. 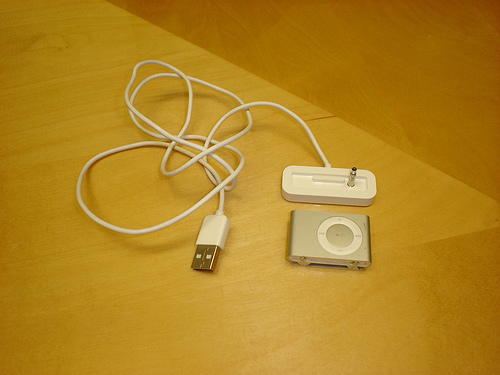 I heard from Joe that he sent you the iPod Shuffle, I hope you enjoy it. I am not lucky:( but I’ll try. That’s neato. I find those things impossibly tiny haha! Although everything is teeny these days in technology. I’m waiting for the day when cameras are as big as one’s hand, and has lenses just as small. Just keep trying. You never know. There are already some cameras that you can strap right to your arms. Very cool stuff.